This publication is the tenth edition of the condensed version of the OECD Model Tax Convention on Income and on Capital. 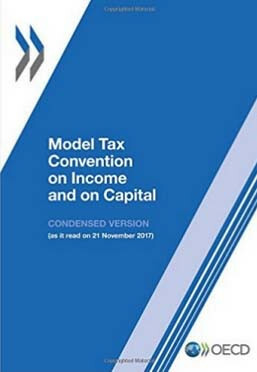 This shorter version contains the articles and commentaries of the Model Tax Convention on lncome and on Capital as it read on 21 November 2017, but without the historical notes and the background reports that are inc!uded in the full version. The full version of the OECD Model Tax Convention for each edition is published separately. It is available in print, PDF and web formats. The web format includes extensive internal linking, making it easy to link from artic!es to related commentaries. The web and PDF versions will be availab!e via the OECD iLibrary.